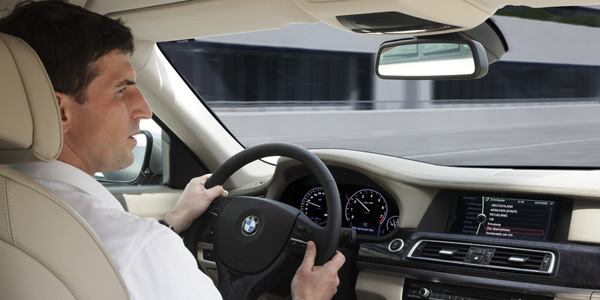 BMW is coming out with a new voice control application launching in September 2009. The new system allows for more reliable and convenient experience making your commute much more smoother. BMW will offer a single-command input so users can select whether they want to control the in-car navigation or entertainment system. The concept behind the new voice control application is being able to use navigation and entertainment much more quickly and efficiently while still being able to focus entirely on the road. Since BMW has made it possible to use commands in natural language the system should be less frustrating for the non tech-savy consumers. No word on pricing yet, but you can probably expect this won’t be cheap since its offered as a premium.